When we get our copy of the National Trust News & Events paper, I always know there will be something of interest to circle or asterix; and page 2 from the Spring 2014 edition has been pinned to my noticeboard for some time. 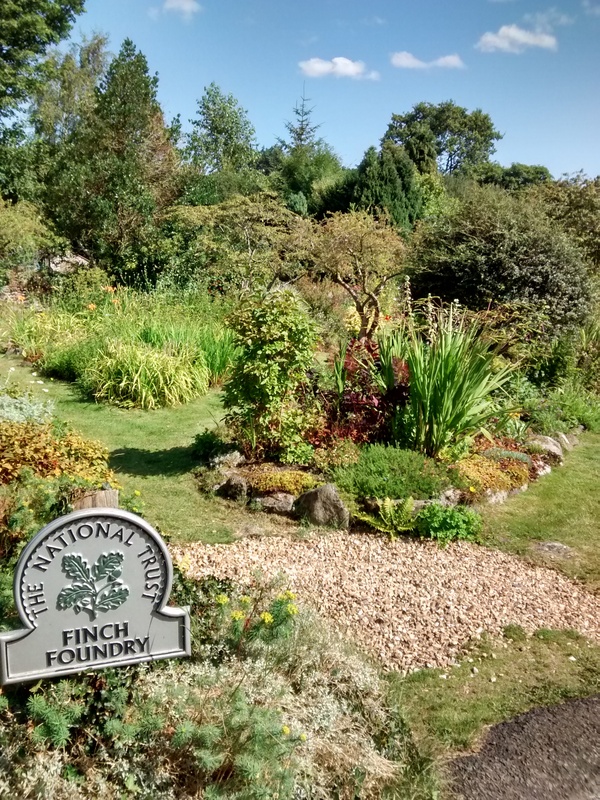 And so it was on a sunny August day we headed west, picnic packed and camera ready to visit the country’s last working water-powered forge; Finch Foundry. Sticklepath (taken from the Saxon word for steep) might not strike you as an ideal place for a Victorian industrial unit, however, being on the main thoroughfare between east and west until the A30 bypass was built; the busy Exeter to Cornwall road passed through the middle of this quiet little village. But nowadays you will likely sail straight past the entrance to Finch Foundry (as we did!) but once you have nervously manoeuvred your car through the narrow archway, (we subsequently discovered there is much better access at the back of the property!) you are welcomed by the gorgeous ‘cottage’ style garden that is brimming over with luscious green leaves and brightly coloured flowers and shrubs. There is also a very generous picnic area: our first port of call! At a quarter past each hour there is a short presentation within the bowels of the foundry, but don’t worry if you miss it, as we did, because you need plenty of time to look at the rest of the displays. 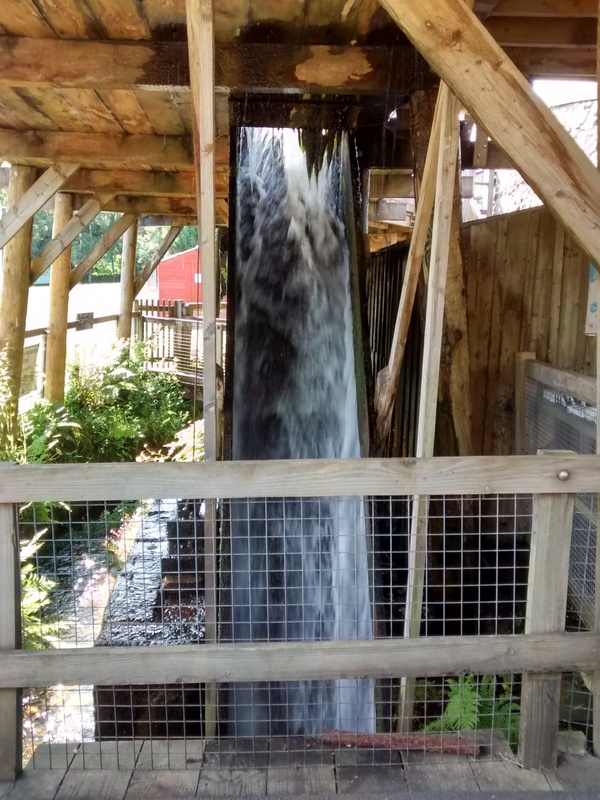 Make your way up the outside stone staircase to the small museum where you not only learn about the history of the foundry but also some interesting facts about water power. 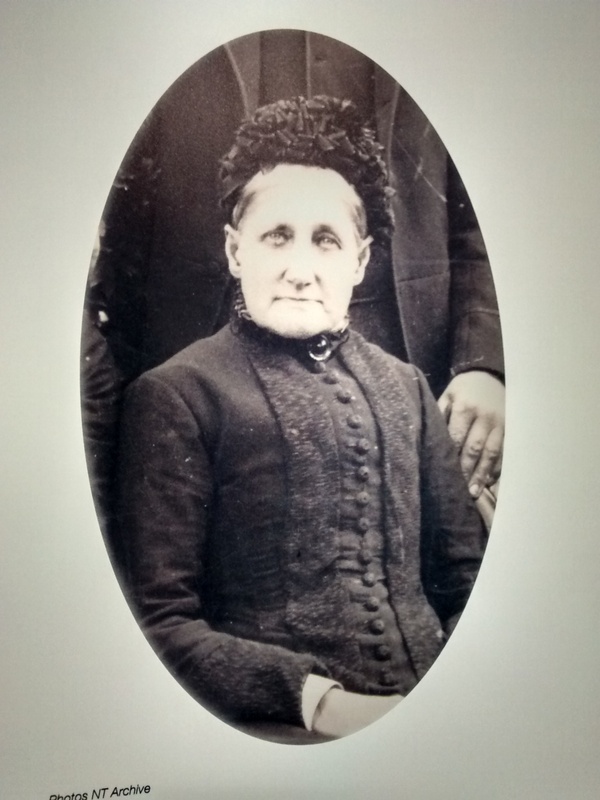 You also find out about the Finch family, including Rebecca Finch who had to take charge of the business from 1885- 1891 following the untimely death of her husband, George who ingested too much laudanum he took for a toothache. And if you are familiar with the line “Uncle Tom Cobley and all” then you can read the rest of the words to the famous Widecombe Fair poem when Tom Pearse’s mare “her took sick and died”. 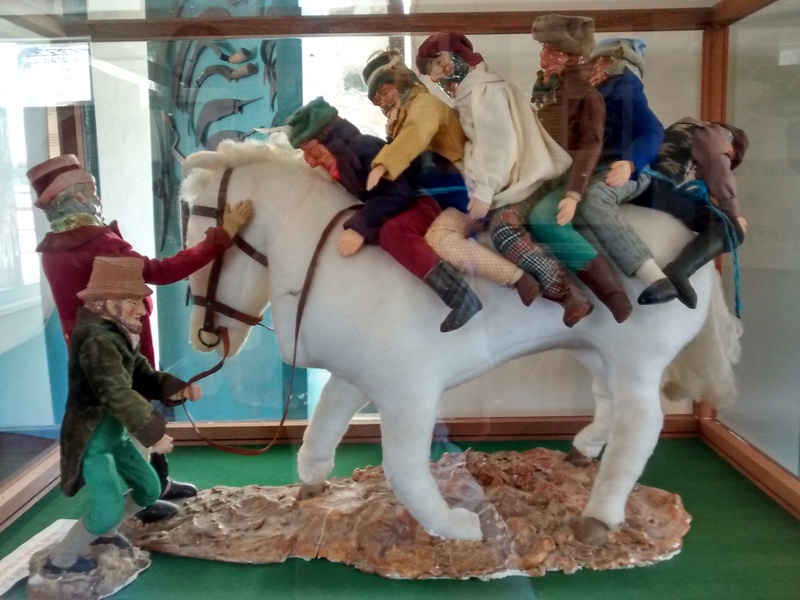 There’s a comical model of the poor old overloaded nag! 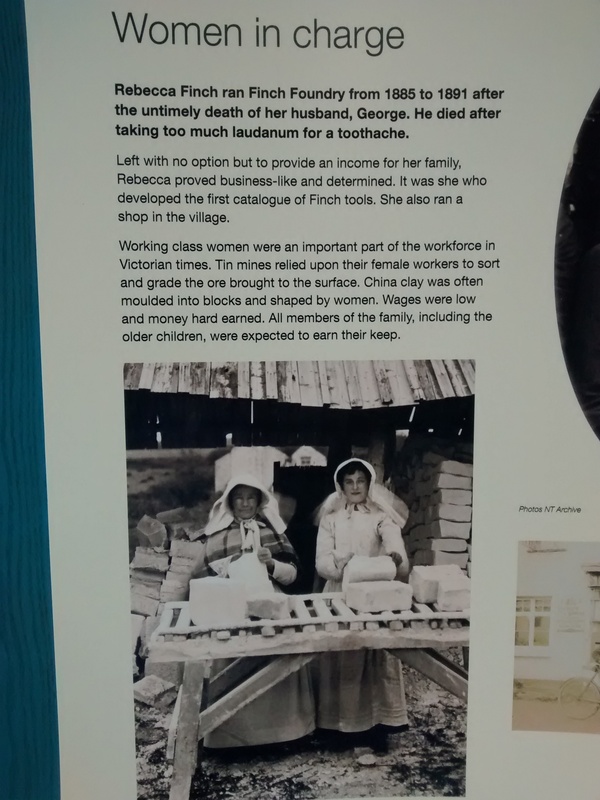 The information panels are well laid out and easily understood giving you an insight into the harsh life during Victorian times as well as up to date facts on hydro power, showing that water is once again proving a useful form of energy. You step outside onto a balcony that affords you a great view of the surrounding area and the huge launder (the large wooden water filled structure). If you walk down the staircase and underneath you will get dripped on! Make your way into the foundry for the short informative presentation. But it’s the sheer enormity of each piece that astonishes me; the massive rotating belts that look like giant rubber bands, the tilt hammer (sadly not working as its vibration was actually bringing down the walls!) that would have flattened the iron and steel sandwiched sheets as it thumped down onto the enormous anvil. Or the cutting sheers that snipped iron rods with complete ease. There’s a clever but quite simple Victorian gadget to breathe life into the fire; a tube that draws in air, dispensing the need for bellows. But it was when the machinery was put into action that I was mesmerised by the whirr of the belts that turned the huge wheels and the clunk of the turning cogs as each piece moved independently but in unison, creating the immense power to raise the enormous hammer that flattened the iron/steel plates or the cutting sheers for snipping the iron bars. 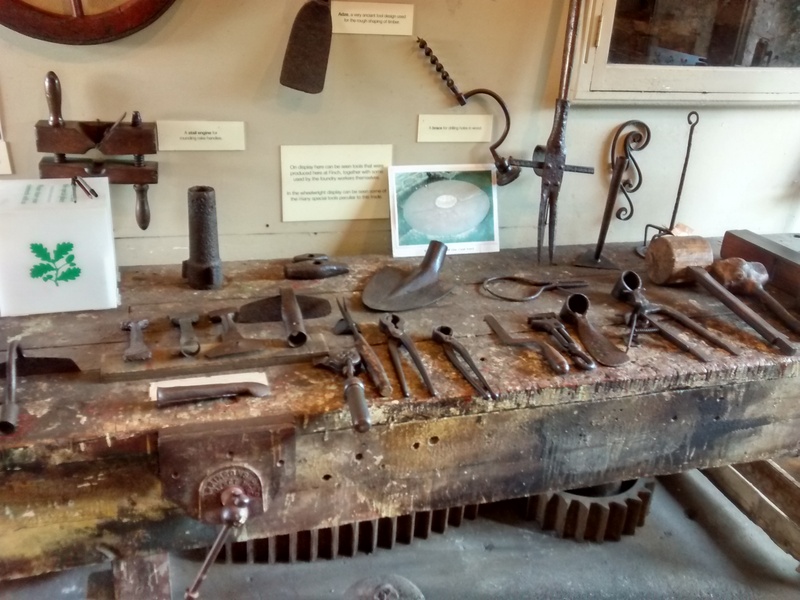 The foundry produced 400 tools each day! 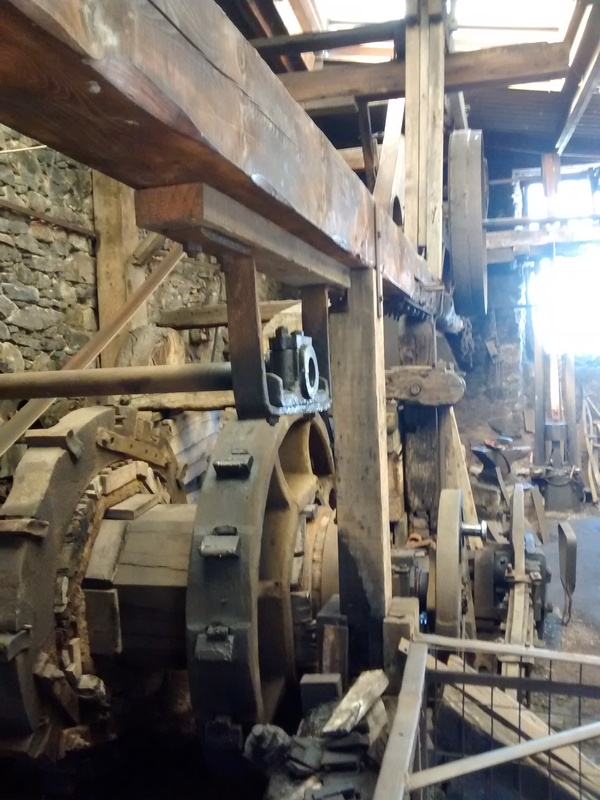 We moved into the grinding house where another huge belt was lashed around enormous turning wheels. 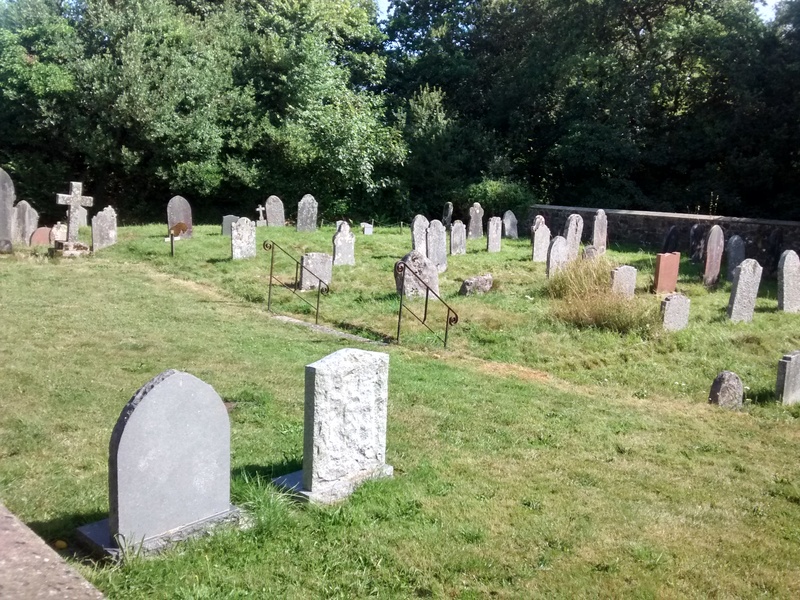 Outside you can enjoy a complete contrast with the eclectic mix of flowers and shrubs and next door is the Quaker cemetery, the silent tombs letting their headstones tell a story of a life snatched away too soon, great wars or simply old age. There are many familiar names including Finch and Pearse. 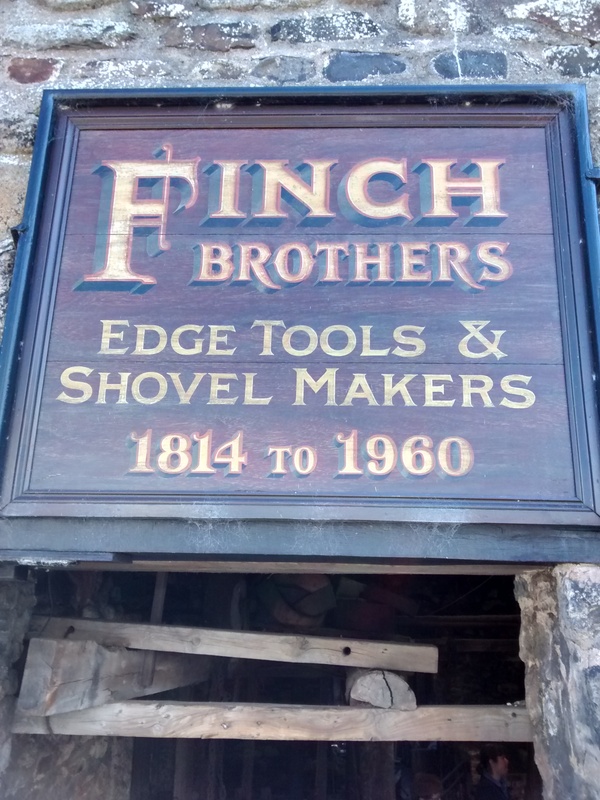 The Finch Foundry is more than simply an exhibition of the Victorian era of great industry and business prowess, it is the story of a family who worked hard but who failed to secure a rung on the ladder of industrial progress so sadly fell into a sink hole of a bygone age. But you know what I think? 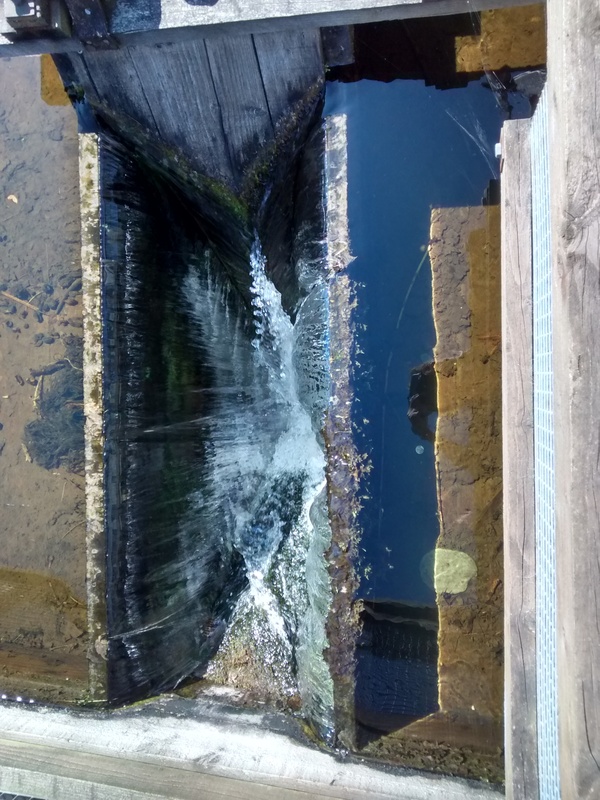 What comes around turns around and I have a hunch that a water powered way of life may well return and then the Finch Foundries of this world will emerge the stronger challenger. 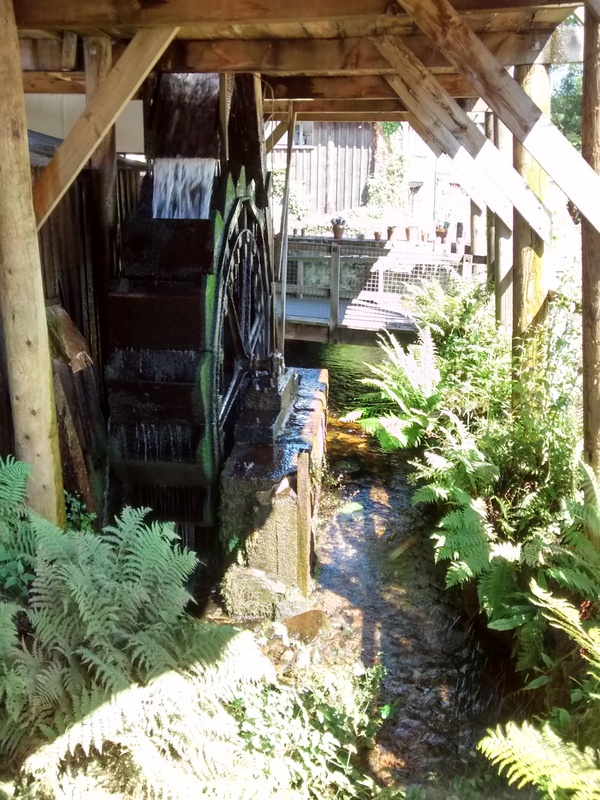 This entry was posted in Family Days Out and tagged day trip, Devon, Finch Foundry, forge, foundry, iron, museum, National Trust, steel, uncle tom cobley, Victorian, water, water power, Widecombe Fair. Bookmark the permalink.